William Edward “Bill” Barnes, 91, of Spindale, died Monday, October 22, 2018 at White Oak of Rutherfordton. A native of Camden, SC, he was the son of the late Edward Thomas and Effie Elizabeth Sanders Barnes. He was a retired textile manager and a member of Spindale United Methodist Church, where he sang in the choir for 66 years. Bill attended The Citadel, served in the Navy during WWII, and graduated from Clemson University. He was a wonderful father and grandfather, an avid golfer, and a lifelong sports fan. 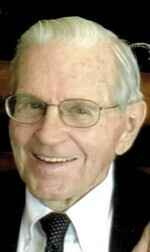 Left to cherish his memory is his wife of 70 years, Dolly Graham Barnes of the home; daughters, Bonnie Barnes Counts and husband Benny of Chapin, SC, Patricia Barnes Kerr and husband Duncan of Raleigh, NC and Amy Melissa Barnes of Spindale; two grandchildren, Brantley Counts Hodges and husband Daniel and Christopher Bennett Counts and wife Carrie and his “new family” at White Oak of Rutherfordton. Memorial services will be held 11AM Saturday, October 27, 2018 at Spindale United Methodist Church with Rev. Angela Burris officiating. The family will receive friends in the fellowship hall from 10:30AM to 11:00AM prior to the service. In lieu of flowers, memorials may be made to Spindale United Methodist Church Music Department, PO Box 241, Spindale, NC 28160.